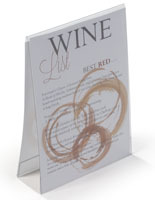 This Picture Frame Is Perfect For Restaurant Use! 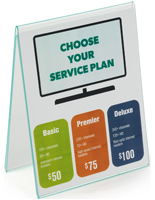 This Picture Frame Is Made Of Clear, Durable Acrylic! 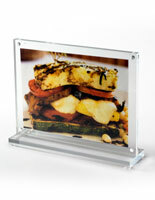 Picture Frame – This table-top picture frame is fabricated of rugged acrylic. 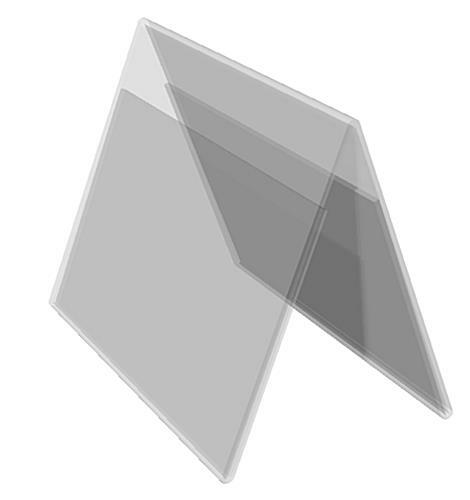 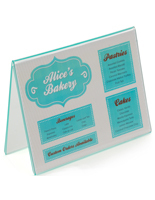 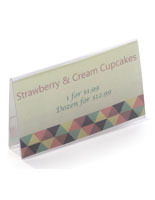 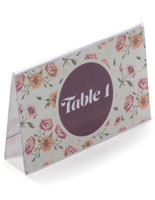 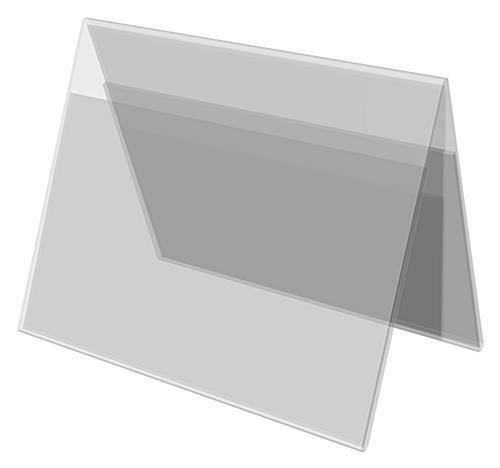 The clear restaurant tabletop picture frame/sign holder consists of two folded panels for graphic/menu inserts. 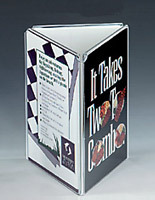 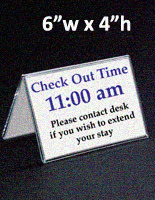 Each panel accommodates a 7" wide x 5" high card for viewing from both sides.